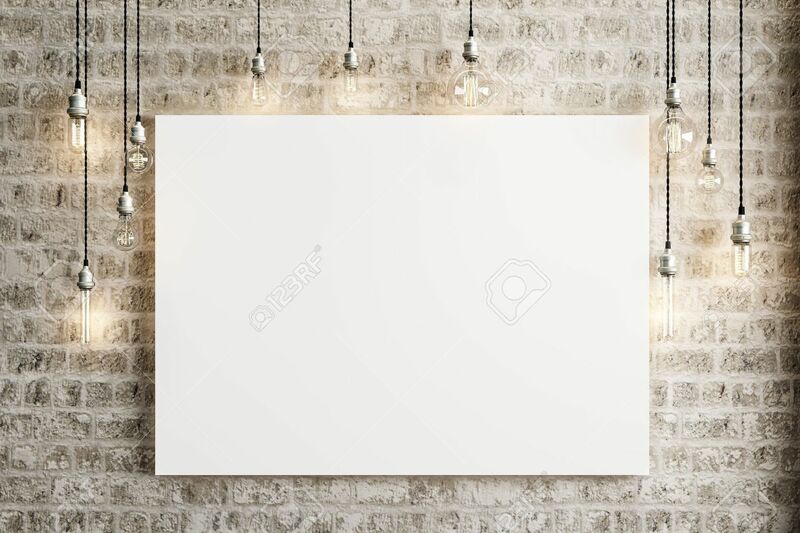 Mock Up Poster With Ceiling Lamps And A Rustic Brick Background,.. Stock Photo, Picture And Royalty Free Image. Image 46050651. Illustration - Mock up poster with ceiling lamps and a rustic brick background, Photo realistic 3d illustration. Mock up poster with ceiling lamps and a rustic brick background, Photo realistic 3d illustration.